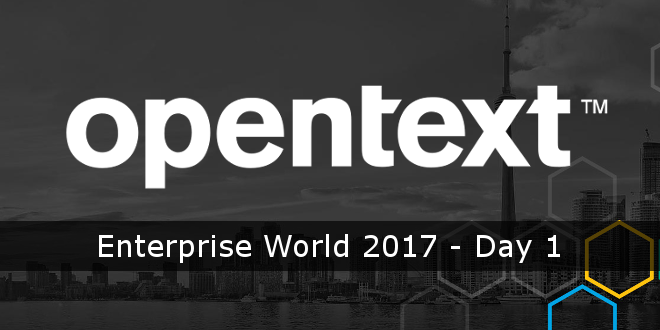 OpenText™ Enterprise World 2017 - Tag 1 - Open Text Web Solutions Usergroup e.V. "OpenText - The Information Company"
CEM-200 - What's New in OpenText Web Content Management Solutions, Release 16.2? Weiterentwicklung für alle drei WCM Produkte garantiert, neue Roadmaps in MySupport.